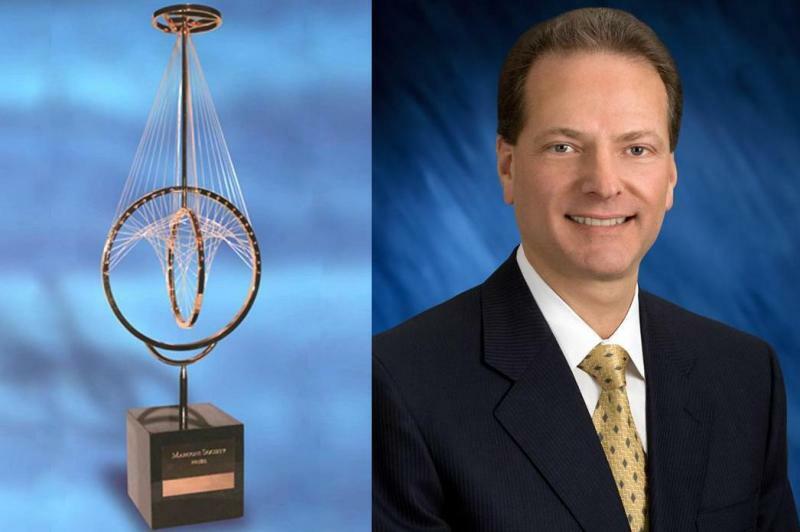 Henry Samueli, co-founder of Broadcom Corporation, benefactor of The Henry Samueli School of Engineering and distinguished adjunct professor in the Department of Electrical Engineering and Computer Science, has won the prestigious 2012 Marconi Society Prize and Fellowship. Samueli, whose work led to the explosive growth of the consumer broadband industry, was selected for his pioneering advances in the development and commercialization of analog and mixed signal circuits for modern communication systems, in particular the cable modem. The Marconi Prize, an award considered the pinnacle honor in the field of communication and information science, is given each year to one or more scientists and engineers who achieve advances in communications and information technology for the social, economic and cultural development of all humanity. Winners have included scientists whose breakthrough innovations underlie every aspect of modern communications and have contributed to many other fields of technology as well. Among his other honors, Samueli was elected a Fellow of the Institute of Electrical and Electronics Engineers (IEEE) in 2000, a member of the National Academy of Engineering in 2003, and a Fellow of the American Academy of Arts and Sciences in 2004. Most recently, he won the 2011 Dr. Morris Chang Exemplary Leadership Award from the Global Semiconductor Alliance (GSA). The Marconi Society was established in 1974 through an endowment set up by Gioia Marconi Braga, daughter of Guglielmo Marconi, the Nobel laureate who invented radio (wireless telegraphy). The Marconi Prize is awarded annually to outstanding individuals whose scope of work and influence emulate the principle of “creativity in service to humanity,” which also inspired Marconi. Through symposia, conferences, forums and publications, the Marconi Society promotes awareness of major innovations in communication theory, technology and applications with particular attention to understanding how they change and benefit society. Additional information about the Marconi Society and the Marconi Fellows can be found at www.marconisociety.org.